High Collar premium egyptian shirt by Philippe Trinh, made in NYC. Photographed by John Paul Tran. High Collar cotton sleeveless shirt, jersey racer tank, all designed by Philippe Trinh, made in NYC. Styled by Philippe. Photographed by John Paul Tran. Shirt by Philippe Trinh. 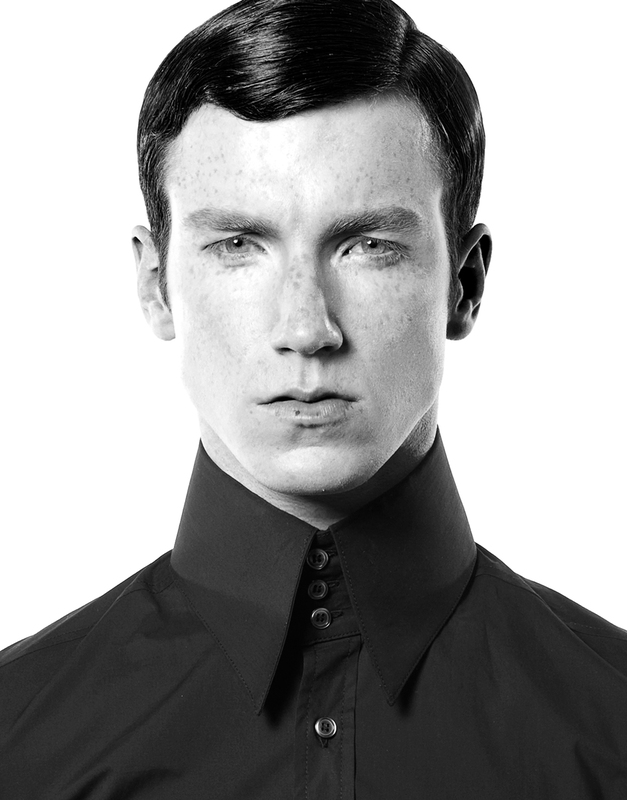 High Collar black cotton/nylon shirt, made in NYC. Photographed by John Paul Tran. Shirt by Philippe Trinh. High point collar egyptian cotton shirt, made in NYC. Photographed by John Paul Tran. Turtle neck short sleeve woven by Philippe Trinh, made in NYC. Styled with vintage by Philippe Trinh. Photographed by John Paul Tran. Nylon self tie woven shirt by Philippe Trinh. Styled by Philippe Trinh. Photo by John Paul Tran. Epaulette cotton/nylon shirt, 5 pocket jeans all designed by Philippe Trinh, made in NYC. Styled by Philippe. Photographed by John Paul Tran. Cotton jersey racer tank, washed lamb skin leather jacket, and 5 pocket skinny jeans all by Philippe Trinh, made in NYC. Photographed by John Paul Tran.